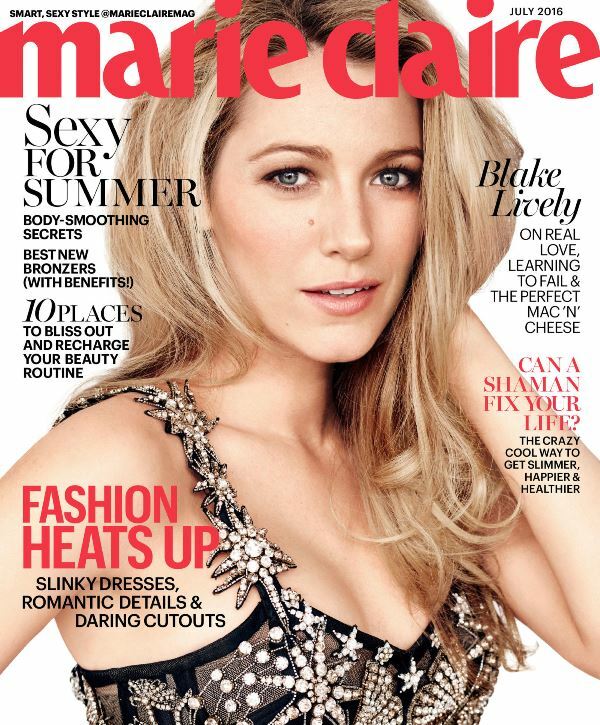 But Blake tells Marie Claire that The Shallows actually goes deeper than you think. It’s a movie about climate change too! “Because of climate change and global warming, what was once in the deep is now in the shallows," she explains. "The danger with a film like this is that it taps into primal fear, but it can also unfairly villainize this amazing creature intrinsic to our well-being. They're one of the most overfished creatures in the ocean, and it's important we protect them." "I knew he would always be my best friend for my whole life. That was the biggest thing to me. I'd never known anything like the friendship that I had with him. I could like him as much as I loved him." And also, Blake loves to cook and she loves food. Cookies and chocolate and hot fudge and definitely butter. Which is why the interview happens at a “country chic” inn (even her interviews have to be artisanal and Pinteresty!) where she knows all the staff and asks if she can take home the honey butter. My eyes rolled out of the hotel window and up the mountains in Banff when I read that. Click here for more from Blake in Marie Claire.